As a mother of brown boys, wife of a revolutionary brown man, and a sun-kissed woman in America, self-care is more than taking care of my body. It’s mental health, spiritual grounding, and personal power all rolled up in one. This crazy world lays another brick on top of our heavy-laden shoulders severyday so if we never take the time to lay down those burdens, we will surely crumble. Women ask me all the time, “how do you make time for yourself with all you do? !”, and I know exactly where the question comes from. I used to be so overwhelmed. 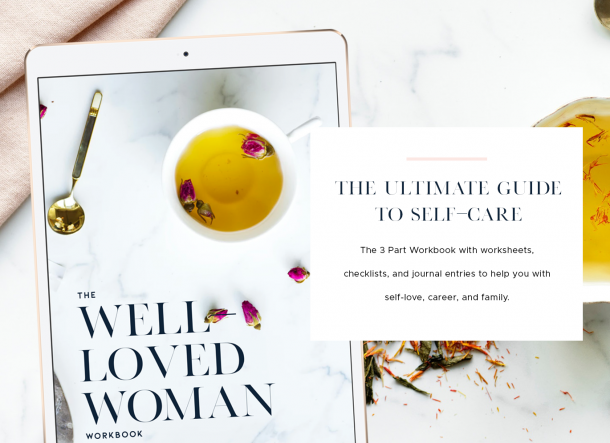 I wasn’t doing half as much as I do now, and had less children, but I was always frazzled, frustrated, and feeling neglected until I learned the secrets of self-care and started using them in my life. If having more time to take care of yourself is your goal, I encourage you to stop being that woman who “got this”. You know, anytime someone reaches out to help you don’t want to seem like you need help so “you got it”? Yea, stop doing that. Tap into the village around you and let others do what they’re good at. If no one is offering, ask. Hire. Contract your little cousin to babysit. Do whatever you need to do to let the team work for you. Do whatever you need to do to let the team work for you. Letting yourself go feels “comfortable” at first, but that habit quickly starts to play on your self-esteem. I recently had a client call to say she gave all of her “comfy” clothes away and how much of a difference it’s made in her mindset and her marriage. God gave us women beauty. It’s our gift and each one of us has it in varying degrees. Taking care of your outer is a reflection of how you feel on the inside. Scheduling or simply taking time away from your devices is critical for mental and spiritual survival in this digital age. You probably take for granted the effect that constant screen time has on you but I found this article that really breaks it down. A lot of times we don’t get what we need because we don’t say what we need. We have this thing where we think folks can read our minds. They can’t. Especially not the ones we wish could do it the most – our men. It may be strange to consider that men want to provide everything we need and desire – they do (at least the good ones do). They just need us to tell them what exactly that is. It may be that people want to help you but you’re not communicating the help you need. I’ll be digging more into the topic of communicating with our men in the Flawless Femininity Masterclass. I also shared a few gems in the free F.I.N.E. & Feminine webinar, which you can watch here. Saying no is ok you know. It helps you minimize your stress and cultivates a life you love. A lot of people feel guilty about saying no because they don’t want to upset others. That’s understandable, but when you say yes to things you really don’t want to do you end up upsetting yourself. Some folks will always be offended by no. That’s not your business, though. Learning to say no in a graceful way helps you to keep the bridges in your life intact for when you need to cross them later. Instead of saying no in annoyance or frustration, try saying, “I won’t be able to do it right now.”, “I have other plans”, or “I’m actually working on some other things at the moment.” Taking time to take care of you is a plan, it is some other things, and it’s a great reason for why you won’t be able to. Spiritually centered women have a routine for how they wake up and go about their days. They get connected to themselves, and their center (source), at the top of the day. This practice sets the tone for how you want your day to go. Having a personal ritual – whether it’s morning tea and meditation, weekly prayer and fasting, mindfulness walks after work – helps keep life feeling balanced and orderly. It helps you stay grounded when everything goes haywire. Sounds a little new-age right? Well, it’s really not that new. Spiritual bathing is the practice of mindful bathing. It’s like bougie bathing (s/o @tanglesandbeyond) with an added spiritual element. To take a spiritual bath you simply need to add salt (I prefer Himalayan Pink and Epsom), and essential oils to the water. Set a relaxing ambiance with music, candles, or simply dimmed lights. Leave your devices out of it, and pray. Taking spiritual baths can help with emotional cleansing, improving self-image, detoxification and much more. For maintenance, I have a spiritual bath at least once a week using the FemininiTea Soak from the Queen Maintenance Kit. The beautiful thing about technology today – you can ignore people and they’ll never know. Keeping the NegaDivas at bay is necessary for energy management. I know you’ve experienced a person who can drain you simply by calling. You see their name flash on the screen and it’s like “oh Lord, what now cher?!? !” Or even the folks you can’t share your wins with because they always have a “warning” story. Yea, tap “Decline” on ’em and keep going on your merry way. You’re welcome. Maybe it’s just me, maybe not, but something happens to my soul when my lips are dry. I feel crummy and like I don’t have my life together. 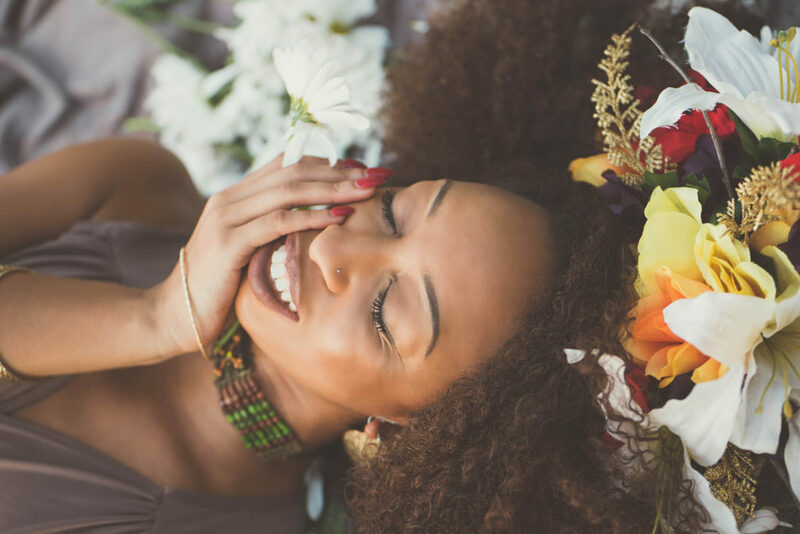 This is a personal self-care secret that goes beyond supple kisses. Have you ever put on some lipstick and felt like you snatched your life? That’s a spiritual thing! You boost your confidence. Your walk changes. You feel like you can handle things. Trust me on this one. Keep a bomb lip balm and a dope lip color near your person at all times and you’ll feel like you have your life together and you can flow through anything. This is the #1 self care secret of spitirually centered women – and men. (But men tend to have no problem with this one). Doing things you hate to do daily takes a little bit of your soul everytime. Purge your to-do list often. Ask yourself “what brings me the most joy?” and “what do I do daily?”, compare the lists and trim the fat. Now granted, some things you hate but you have to do. For me, that’s making sure my 1y/o isn’t the kid with flies having a party on his diaper. They stink, but I gotta. But bigger things – like designing websites, laundry, and dishes – I outsource. Not everything is necessary for you to do. There’s never an excuse to neglect your self care. If we can find time to be and do everything for everyone else, we can find time for ourselves. There’s nothing cute about having a breakdown, or even being worn out #NoMoreTiredMama. Make a commitment to get more connected to your source and yourself – not just this year, forever. What are your self-care secrets? You're in! Check your email for your FREE workbook now!